TriMet Tickets mobile ticketing app off to a strong start! Enthusiastic riders are finding the TriMet Tickets mobile app is making it easier to ride our buses and trains. As of 9 p.m. on Wednesday, Sept. 4, 6,209 tickets have been downloaded and more than $30,440 in ticket sales has come in through the mobile ticketing app since it went live. 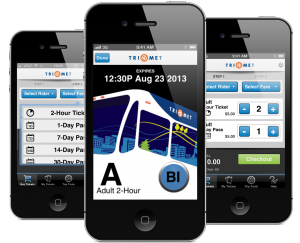 TriMet riders are the first in the U.S. to use a mobile ticketing app to ride both buses and trains. TriMet paid no upfront costs to local software startup GlobeSherpa for the development of the TriMet Tickets app. The app will save the agency money by reducing the operating costs associated with printed and cash fares. I CAN USE MY SMARTY PHONE TO PAY FOR MY @trimet FARE! No more using laundry quarters to pay for fare!! HUZZAH!! 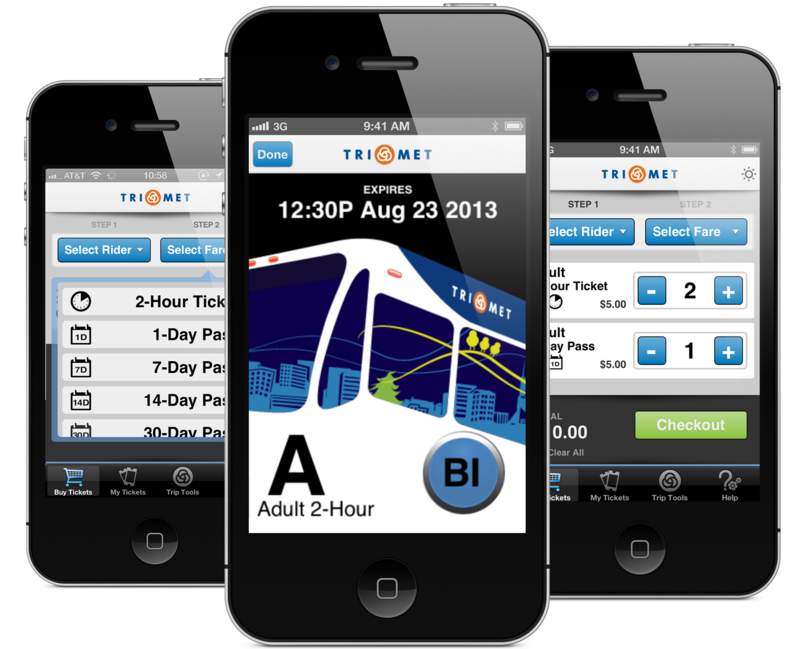 To get the free app, go to your Apple or Android app store and search for TriMet Tickets. Download the free app and register your debit or credit card into the secure system. Go to the “Buy Tickets” tab and choose rider type, fare and quantity, then tap “Checkout”. You can buy tickets ahead of time or use immediately after purchase. To use a ticket, open up the app and go to the “My Tickets” tab. Validate your ticket by tapping “Use” before entering a MAX platform where fares are required, otherwise wait until you see your bus or train approaching and then tap “Use”. Show your phone screen to the bus operator when boarding or when requested by TriMet personnel or Transit Police officers. The TriMet Tickets mobile fares are accepted on TriMet buses, MAX trains, WES Commuter Rail and the Portland Streetcar. For more information on how to use and verify mobile tickets go to trimet.org/mobiletickets.